Genuine “barn find” 1966 Jaguar E-Type Series 1 Tri-carb Roadster, stored in an Indiana barn since 1974. Never restored, all numbers match per Jaguar’s Heritage Certificate (attached). One repaint since new, much of the original Opalescent Silver Grey paint still visible. Low 52,478 original miles. 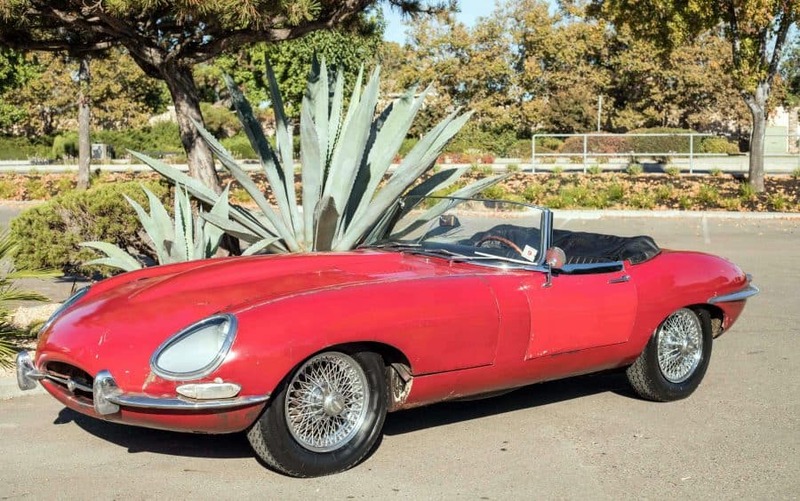 This E-type was not started in over 4 decades, but almost instantly it fired up without much trouble. We rebuilt the carburetors and the engine runs evenly on all cylinders, strong oil pressure. Superb for restoration. We go to extents to document our cars in pictures and provide the most transparent listings on Ebay. Please study the pictures carefully rather than requesting descriptions. Please complete any inspections or ask any questions prior to bidding or committing to buy the car. Thanks for the interest!